Lagos State Peoples Democratic Party (PDP) governorship candidate, Jimi Agbaje yesterday flagged off his campaign with a vow to beat the All Progressives Congress (APC) governorship candidate, Babajide Sanwo-Olu at the poll. He also used the occasion to present his running mate, Mrs Haleemat Busari, a corporate lawyer, to the gathering of supporters. He told the gathering that the people that have been ruling Lagos State since 1999, have prevented the state from growing and developing at the pace it should, reiterating that 2019 should be their terminal date. Agbaje also lamented that successive governments from 1999 to date have nothing to show for the over $35 billion they have received, insisting that measuring progress in Lagos State, using other states in the country was a misnomer. 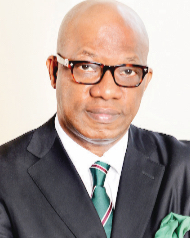 On power, Agbaje said that Lagos would immediately need 3,000 MW of electricity to solve its power challenges, but that he would in the next four years, beginning from next year, ensure that 1,000 MW is generated into the power grid in the state, adding that “Lagos is not working because we have vested interests who are the ones who decide who will be your governor and who decide who will be your local government chairmen. There is no one who they will bring as governor who will tell you that the buck stops at his table. I, Jimi Agbaje can tell you that the buck stops at my table. We are going to beat them flat and that is why they are running and pulling down our billboards. They say that I am their customer, but remember that the customer is king,” he said. The campaign flag off was held at Ultima Studios, Lekki, Lagos and it was attended by party supporters and youths from different interest groups. However, the APC candidate, Sanwo-Olu many believe would be riding on the weight of the National Leader of the party, Asiwaju Bola Tinubu to the Alausa Government House as well as the entrenchment of the APC rule of the state over the years. The APC candidate has already been endorsed by many of the stakeholders in the state just as he gets set to begin his campaigns. Activities leading to the emergence of the next governor of Kano State have commenced in earnest in the ancient city. Although there is a harvest of governorship standard bearers in the state, only a few of these could be described as serious. These “serious contenders and parties” include the All Progressives Congress, which is re-presenting the incumbent governor, Dr Abdullahi Umar Ganduje, for the position. The other two serious parties are the Peoples Democratic Party (PDP), which has Alhaji Abba Kabiru Yusuf as its candidate and the Peoples Redemption Party (PRP), which is presenting Mallam Sagir Takai as its candidate. 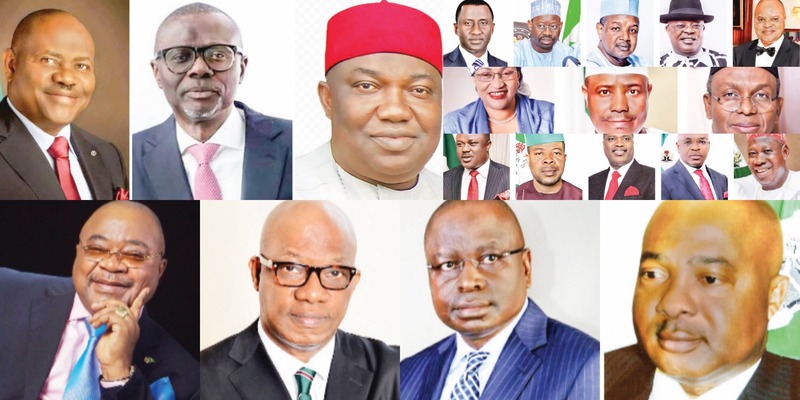 Sunday Sun investigation indicated that these three governorship candidates have since appointed and inaugurated their campaign structures at the state levels and across the 44 local government areas of the state. They have also announced the head of their campaign organizations, including setting up offices and providing them with logistics for their operations. It is noteworthy that the state capital has been inundated with political posters and different forms of road advertisements, which are all part of the colours of the growing political rivalry. The two major political parties in Rivers State are the ruling PDP and APC. Both of them have been at each other’s rivalry, particularly since Governor Nyesom Wike became the helmsman of the state. So, the battle to occupy the Brick House, Port Harcourt, is between Governor Wike of the PDP, a legal practitioner and former Minister of state for Education and his APC opponent, Tonye Cole, an architect. Prior to the formal commencement of campaigns, PDP had secured endorsements for its candidate in virtually all the 23 local government areas in the state at one event or the other. However, after the PDP officially endorsed Governor Wike as its sole candidate for the 2019 election, he has engaged in strategic campaigns, promoting the impressive record of his developmental strides that have brought intensive transformation in the state. His opponent, Cole, politically, is not known in the state unlike Wike, who is a grassroots politician who has been in the mainstream politics since 1999. In Kebbi State, only the PDP has commenced its governorship campaign while the APC, which is the ruling party in the state is still planning on the strategy to adopt. The governorship candidate of the PDP, Senator Isa Galaudu, who began his campaign at Ambursa town, Birnin-Kebbi, urged the electorate to give him massive support by casting their votes for him during the forthcoming general election. While speaking at the venue, Senator Isa Galaudu said he was contesting for the position to liberate the people of the state from poverty. Sunday Sun learnt from a reliable source that the APC was still fine-tuning party’s campaign strategy. Already, several political groups in the party have opened up campaign offices across the 21 local government areas of the state. In Kaduna State, the 2019 governorship race is largely between the ruling APC and PDP, the major opposition party. However, there are other political parties that are also seeking to wrest power from the APC. The APC governorship candidate, Governor Nasir el-rufai has not formally kicked off his campaign, but he utilises every opportunity at public functions to drum support for his re-election. For the PDP governorship candidate in the state, Isa Ashiru, the battle royale for the election began on Friday following the inauguration of his campaign council. Until 2014, when he decamped to the PDP, Ashiru was in APC and lost to el-Rufai at the primaries. The APC candidate, Alhaji Muhammed Badaru Abubakar, is the incumbent governor of the state. He is regarded as the candidate to beat. The Social Democratic Party (SDP) is fielding Alhaji ‎Bashir Adamu (Jumbo) as its candidate. Alhaji Bashir was a member of the National Assembly from 1999 until he lost in the 2015 election‎. His strong point is his immense popularity and his generosity to the people. Although 12 parties have so far produced governorship candidates in Benue State, political watchers are of the opinion that the battle is between the PDP and APC, and remotely the Social Democratic Party (SDP) as well as People’s Redemption Party (PRP). Governor Samuel Ortom is contesting on the platform of the PDP while Emmanuel Jime, a lawyer, and Dr. Stephen Hwande are coming out on the platforms of the APC and SDP respectively while the PRP is presenting Revd. Fredrick Kyaan, who is a minister of God. Although, these parties have not officially flagged-off their campaigns in the state, their various campaign offices and the communities where each of them have strength are already alive with music and flags. Governorship candidates in Plateau State are yet to kick off campaigns ahead of the 2019 general elections. The incumbent, Governor Simon Lalong and candidate of the ruling APC is busy running around to reconcile with some of the party chieftains that felt aggrieved during the party primaries. He has appointed Pam Dung Gyang, an architect as his Director of Campaign, but activities are yet to kick off. Meanwhile, the Peoples Democratic Party (PDP) is passing through a turbulent moment following the choice of Dr James Dalok as the running mate to Lt. General Jeremiah Useni, the governorship candidate of the party. Ahead of the 2019 general elections, the trio of incumbent Governor Darius Ishaku of the PDP, former acting governor, Sani Abubakar Danladi of the APC and former Minister of Women Affairs, Senator Aisha Jumai Alhassan of the United Democratic Party, UDP, are the leading candidates. Senator Aisha Jumai Alhassan also known as Maman Taraba has distinguished herself as a political figure to reckon with in all ramifications. There are 42 governorship candidates in Akwa Ibom State. But it is only the incumbent, Mr Udom Emmanuel of the PDP, and Mr Nsima Ekere of the APC that are actually known by even the political class. Though the veteran politician, Mr Ezekiel Nya-Etok, hitherto leading the Young Democratic Party, but now the governorship candidate of the party in the state, and a businessman, Mr Nature Udoh, of Young Progressive Party, are well known personalities in the state, their chances of getting a thousand votes each is very slim since the state is symmetrically divided between the PDP and the APC. In Sokoto State, the forthcoming governorship contest is believed to be between the candidates of PDP, APC and SDP. The incumbent governor, Alhaji Aminu Waziri Tambuwal is the PDP candidate, his erstwhile deputy, Alhaji Ahmad Aliyu Sokoto is for APC while the Hon. Saidu Mainasara secured the ticket of SDP. As it is today, political permutations suggest that the governorship tussle would be between the two political rivals and former governors of the state, Attahiru Bafarawa and Aliyu Wamakko who are backing their political godsons, Aminu Tambuwal and Ahmed Aliyu. The PDP in Delta State has not officially kicked-off campaign for the possible re-election of Governor Ifeanyi Okowa, however, the party has been involved in quasi-campaigns since 2017 by holding regular town hall meetings, political rallies and stakeholders’ meetings across the three senatorial districts of the state. On the other hand, it is still a ding dong affair for the major opposition party in the state, the APC, as a result of series of litigations over its controversial primaries. Though 37 political parties have presented candidates for the 2019 governorship poll in Oyo State, political analysts have, however, narrowed the leading ones among them to four. They are former Deputy Governor of Central Bank of Nigeria (CBN), Chief Adebayo Adelabu of the APC; oil magnate, Mr Seyi Makinde, PDP; and former vice chairman, Senate Committee on National Planning, Economic Affairs and Poverty Alleviation, Senator Olufemi Lanlehin of the African Democratic Congress (ADC). 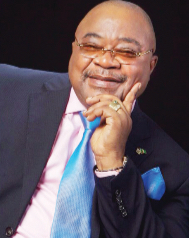 Former governor of Oyo State, Otunba Adebayo Alao-Akala of Action Democratic Party (ADP) is the fourth candidate. PDP and the APC are the two major political parties that would slug it out in the governorship battle in Ebonyi State, although there are 32 others who will field candidates for the polls. While the state governor, Chief David Umahi, would be seeking re-election on the platform of the PDP, the senator representing Ebonyi South in the National Assembly, Sen. Sonni Ogbuoji, has the ticket of the APC. While the PDP is expected to kickoff its campaign on Wednesday at Onueke, Ezza South Local Government Area, the APC would flag-off its campaign today (Sunday) in Abakaliki, the state capital. In Nasarawa State, three leading governorship candidates have emerged and they include immediate past Group Managing Director of Dangote Sugar Refinery, Engr Abdullahi Sule of the APC. Others are the member of the House of Representatives, representing Akwanga, Wamba, Nasarawa Eggon Federal Constituency, Hon David Ombugadu of the PDP, while former Information Minister, Labaran Maku, is the candidate of the All Progressives Grand Alliance (APGA). Out of the three major political parties contesting for the governorship seat in 2019, only the candidate of the African Democratic Congress (ADC), Gboyega Nasir Isiaka, kicked off his campaign yesterday with the launching of his manifesto, christened “7 Steps to Abundance”. The candidates of the ruling APC and the main opposition party, PDP, Dapo Abiodun and Senator Buruji Kashamu, respectively, are yet to officially kick off their campaigns. While Abiodun just announced his running mate on Thursday, Kashamu, it was gathered, has slated commencement of his campaign for Monday at Ijebu-Igbo. The ruling party is still smarting from the party primaries, which have polarised it. While the incumbent governor rooted and worked for the emergence of his preferred candidate, Abdul Kabir Akinlade, the National Working Committee of the party, upheld the primary election that produced Abiodun as the flag bearer of APC in Ogun. Since then, the party has been engulfed in crisis courtesy of the governor and his loyalists and other stakeholders in the party. The party further shrank last Wednesday with the defection of Amosun’s men to the Allied People’s Movement (APM), including Akinlade. Though the governor remains in APC, many political watchers in the state believe that Amosun is out to play a spoiler’s role. For the PDP, though not recognized by the INEC, Oladipupo Adebutu, a House of Representatives member, currently representing Remo Federal Constituency and the governorship candidate recognised by the national leadership of PDP, has been going round to campaign for the National Assembly candidates of his faction of the party. Also, PDP in Ogun has been enmeshed in litigation and this, no doubt, will affect the fortune of the party at the poll. For now, only a clairvoyant with a foolproof crystal ball can, at least, have a caricature picture of where the pendulum will swing in Ogun come 2019. The ruling PDP and the opposition APC are fielding candidates in the fight to elect the person that will take over from Governor Ibrahim Hassan Dankwambo who is completing his second term in office. Senator Usman Bayero Nafada, a senator representing Gombe North is the candidate of the PDP while the APC has fielded Inuwa Yahaya, who contested on the same platform in the 2015 general elections. Analysts, say, both candidates stand good chances of clinching victory as they pull huge followership from the electorate. The governorship contest in Borno State is evidently zeroed on three major political parties, PDP, APC, LP). Though, political activities have commenced in Borno with party supporters going round the state capital to drum up support for their candidates, none of the political parties have kicked-started the governorship campaigns. The PDP governorship candidate, Alhaji Mohammed Imam, will be challenging APC standard bearer, Babagana Umara Zulum, a university don, former commissioner, and professor of irrigation engineering at the February poll. LP candidate, Ibrahim Kadafur, a pilot and businessman could pull some votes especially from some PDP and APC supporters who were aggrieved after the September governorship primaries. Kadafur is relatively unknown in Borno politics. About 68 governorship candidates are bidding to replace the outgoing Governor Rochas Okorocha who has been piloting the affairs of the state in the last seven and half years. But of the army of candidates who are expected to kick-ofF their campaigns next week, the notable names are Rt. Hon Emeka Ihedioha of the PDP, Senator Ifeanyi Ararume of the All Progressives Grand Alliance (APGA), Dr. Ikedi Ohakim of the Accord Party; Mr. Okey Ezeh of the Social Democratic Party, Sen. Hope Uzodinma APC and Mr Uche Nwosu of the Action Alliance. Rt. Hon Emeka Ihedioha from Aboh Mbaise council area of the state is from the Owerri zone. The former Deputy Speaker of the House Representatives is not just the leading gubernatorial candidate but a major contender for the Imo state Government House. 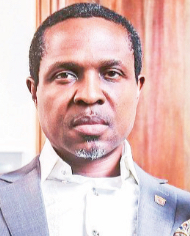 Ihedioha, who was the party’s gubernatorial candidate of the Peoples Democratic Party in 2015 had lost by a slim margin to the incumbent after the supplementary governorship polls, again emerged the candidate of the party for the 2019 after defeating Sen. Samuel Anyanwu, who was his major rival during the party’s primaries. One of his major advantages this time around is that he is not only strong a candidate from a major party member from the Owerri zone. Unlike in 2015 the people of the state appear to be more receptive to the candidacy of Ihedioha. This is as a result of the fall-out of the primaries by the All Progressives Grand Alliance where Sen. Ifeanyi Ararume emerged as the candidate of the party and in the All Progressives Congress where Sen. Hope Uzodinma against all expectations picked the ticket while the likes of the Deputy Governor of the state, Prince Eze Madumere, Sir Jude Ejiogu, Sir George Eche, Engr. Chuks Ololo from Owerri Zone lost out. Thus, Ihedioha may achieve his political objective of becoming the next governor in 2019 going by the groundswell of support by political leaders and leaders of thought across the three senatorial zones, who are insisting that the Imo Charter of Equity must be restored. On the other had, Senator Ifeanyi Araraume, the two-time senator from Isiala Mbano council area of the state in Okigwe zone is a wealthy businessman and a veteran politician, who has not hidden his desire to govern the state. He had contested the governorship election in 2007 on the platform of the Action Congress of Nigeria (ACN) and lost to Ikedi Ohakim. He had also lost the PDP ticket to Rt. Hon Emeka Ihedioha in 2015. However, the major problem of the governorship candidate of the APGA is how to coalesce the major stakeholders of the party and the support of the Owerri zone following the way and manner in which he emerged as the flagbearer of the party, a situation which gave rise to the formation of nAPGA by major stakeholders of the party in the state led by Capt. 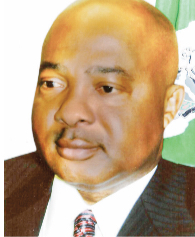 Emmanuel Iheancho, former Minister of Interior and governorship candidate of the party. To make matter worse, members of the n-APGA who spurned the peace and reconciliation committee set up by the national leadership of the party headed by Chief Jerry Chukwueke had rather pledged their support for Rt. Hon Emeka Ihedioha, the candidate of the PDP. Senator Hope Uzodinma who is the governorship candidate of the APC is from the same Orlu Zone with governor Rochas Okorocha. The emergence of the incumbent senator representing Orlu zone at the Senate and his coalition members wrested the party ticket from Uche Nwosu, Okorocha’s son-in-law who the governor had insisted must succeed him. Right now the outgoing governor has vowed not to support the candidacy of Uzodinma and directed Nwosu and his loyalists who had lost their tickets to the move to Action Alliance. Uche Nwosu, who lost the APC governorship Uzodinma has finally settled for the Action Alliance which was originally formed by governor Rochas Okorocha after he could not secure both the UPP and DPP governorship tickets. The SDP candidate, Okey Ezeh, is battling with Dr. Casmir Anyanwu over who is the rightful governorship candidate of the party. The contention is that Okey Ezeh who had joined SDP after the governorship debacle in APGA did not contest the SDP primaries earlier won by Dr. Anyanwu. Ikedi Ohakim became the candidate of the Accord Party after he left APGA following the emergence of Ararume, but the former governor who is bidding for a come back may not have it easy.